Kashmir traditionally secular believes in the policy of live and let live. 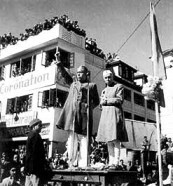 Islam guaranteed the rights of minorities and Kashmir proved it time and again to the world that in 1947 when Indian sub-continent was burning and butchery had touched the new heights, Kashmir was busy protecting its 4% minority community and its property; an example that can never be matched. Since India does not understand the language of peace, Kashmir was forced to take up arms and India’s imposed ruthless governor Jagmohan Malhotra of Delhi’s Turkman Gate notoreity pounced on Kashmiri populace with all military power at his disposal and clandestinely asked Kashmiri Pandits to sneak out during the night. The total population of Kashmiri Muslims had taken refuge in their mosques and were unaware about Jagmohan plan. Pandits out of Kashmir gave Jagmohan a free hand to indiscrimnately kill thousands to crush the uprising. Jagmohan also released all criminal elements from Indian jails to arm them, train them in counter-insurgency and finally promise them freedom and financial rewards. 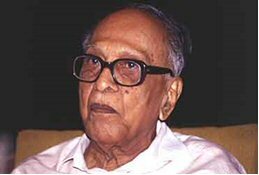 The biggest reward Jagmohan received was defaming and discrediting the uprising to brand it as terrorism and unfortunately for Kashmir Jagmohan found an audience. The people of Kashmir, history tells us, have been suffering from times immemorial subjugated, ruled ruthlessly by people using their military power against the inhabitants at times engaging them in forced labour (conscription). Since October 26, 1947 that fateful morning India occupied Kashmir by air-lifting its army to fulfill its expansionist designs. Over one hundred thousand people have been killed, thousands disappeared in torture chambers, thousands of women molested and raped and finally killed and billions worth of property razed. International community is, unfortunately, turning a blind eye for reasons unknown as it can see human-right violations taking place elsewhere but Kashmir is perhaps invisible. “The government of India comes down ruthlessly but unsuccessfully on the militancy. It is letting everything go from bad to worse, and the hatred of the masses for Indian troops and their tactics multiplies. It is true, the talk of rebel Muslim boys being tortured, shot and then thrown into the lakes by government troops. ….Tip of the iceberg……They say that even at the worst of times, Mujahedeen leaders delivered Shivratri supplies to Pandits still living in Kashmir. Some say Muslim neighbors begged the Hindus not to leave but they had to. The self-determination that had been promised to Kashmiris by Nehru can no longer be swept under the carpet” The Tiger Lady Sudha Koul in her book “the tiger ladies”. Nationalist Kashmiri Pandit Dr Mattoo commented on Monday, March 19, 2012 about the atrocities committed by Indian security forces in Kashmir and he wrote: “WE CANNOT EXPECT ALIENATION OF KASHMIRIS TO END AS LONG AS WE TRY TO PROVIDE COVER-UPS TO THE ATROCITIES COMMITTED BY OUR SECURITY FORCES. CBI HAS DONE WELL IN DENYING HOLY COW STATUS TO THE SECURITY FORCES INVOKED IN THE HENIOUS CRIME AGAINST INNOCENT YOUTH IN PARTICULAR AND THE ORDINARY SOULS IN GENERAL. WE NEED TO PUNISH THE GUILTY AT ALL COSTS. THAT KIND OF POLICY CAN WIN OVER THE ESTRANGED KASHMIRIS”.